One of the difficulties in writing fiction is how to individualize your characters to make them real. This can be achieved through dialogue or specific character tics or mannerisms. Doing this in a series is more difficult because you have to keep the characters consistent in book after book. 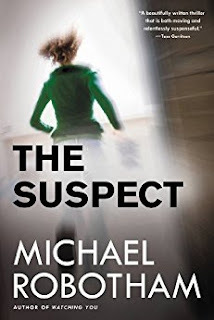 One of my favorite series—and I qualify this because I’m not a big series reader—is Michael Robotham’s Joe O’Loughlin series. 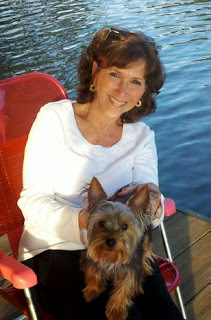 Joe is a clinical psychologist with Parkinson’s Disease. Robotham doesn’t hit the reader over the head with the disintegrating effects of the illness on Joe’s body. Instead, throughout the series, the symptoms become more subtly noticeable: a disobedient leg that freezes in mid-gait or a hand tremor, but never does he make the character about the disease or the disease about the character. To coin one of my least favorite phrases, it is what it is. Joe goes about his business solving crimes without ever becoming a victim. I can think of two series where the characters never change. That’s fine for those readers who aren’t bothered by that, but I am. One is the time period never changes, so neither does the character. The other is the stupidity factor, where the character keeps making the same mistakes over and over. I stopped reading both series when I realized neither character would grow. I’ve published three books in the Diana Racine Psychic Suspense series with another on the way. 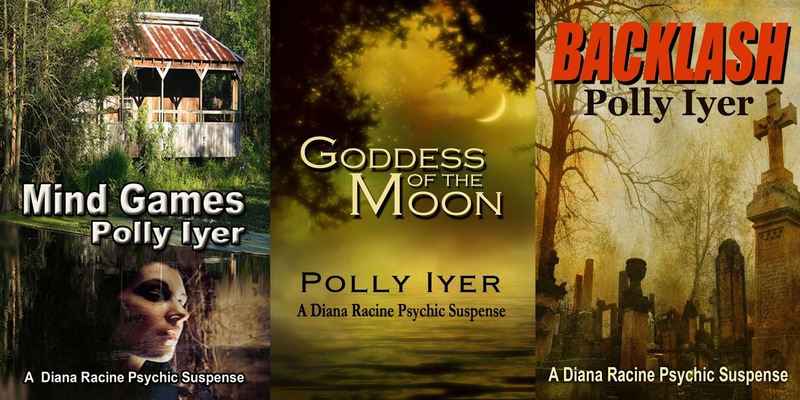 Diana has been a famous psychic since she was six years old. She’s now an adult and a psychic performer who’s played Vegas and other venues around the world, so she’s had her share of hecklers and skeptics. She’s also learned how to respond with a quick wit and sharp tongue. I can’t forget that, or I lose my character. So how do I keep her honest? In Mind Games, book one, she meets Ernie Lucier, the New Orleans police lieutenant who’s one of the skeptics. There’s no surprise that they’ll become a couple, but on one of their first “dates,” he takes her for hot wings, promising they’ll be the hottest wings she’s ever eaten or will eat. He's clearly testing her, and Diana knows it. She bites into the wing, and though it’s fire hot, she picks the bone clean and takes another one while he looks on in disbelief. She doesn’t get through the burning sensation of the second wing, but it’s indicative of her personality to try to beat someone at his own game. In book four, a work in progress, she does it again. Spicy hot cucumber sandwiches that the host prepares and watches as she eats not only one but two. This time, she carries off the deception without choking. Diana is a smart aleck whenever the opportunity arises, but caution―too much of a good thing wears thin and becomes tiresome. Lke Joe O’Loughlin, a little goes a long way. Diana’s father is good old country boy with the dialect to prove it. He drops the g in ing words and uses double negatives. “I don’t remember nothin’ ’bout no animal.” I have to be consistent, or the dialect doesn’t work, but again, it's important not to overdo the slang. One author I like a lot writes a series about two partner detectives that alternate books and sometimes share a story. One character is a constant wiseacre. I skip his books because the sass is excessive. The other character is dark and enigmatic. The mystery of him keeps me reading his stories, because I want to know more about him. In Murder Déjà Vu, my male character, a quiet man who spent fifteen years in prison for a crime he didn’t commit, rubs the back of his neck when he’s unsure of what to say. He does it enough for the reader to know it’s a tell, much like the tell of a card player, but not so often that it’s annoying. I hope. When I wrote Threads, I was so fascinated by a secondary character that he became the lead male. Garrett stutters. Badly. Like foreign accents or regional dialect, stuttering in dialogue is risky. When it becomes tedious, the reader will shut the book. The trick is for other characters to mention the stutter interspersed with the character’s dialogue so there’s not stutter overload. Elmore Leonard, whose books I adore, is a master of dialogue. I wrote a Blood Red Pencil post in November of 2104, but here are a few of his ten rules of writing. • Use regional dialect, patois, sparingly. • Try to leave out the part that readers tend to skip. …Think of what you skip reading a novel: thick paragraphs of prose you can see have too many words in them. … I’ll bet you don’t skip dialogue. 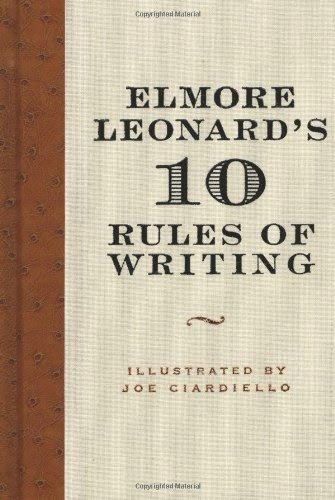 My most important rule, says Leonard, is one that sums up the 10. If it sounds like writing, I rewrite it. Great post, Polly. Dialogue definitely helps to identify and individualize a character. Consistency is vital, however, and not always easy to remember to do; otherwise, traits such as dropping the "g" from ing words becomes an obvious gimmick rather than a character trait. Thanks, Linda. The old adage, everything in moderation, is particularly important when rounding out your characters. Sometimes too much of a good thing can become a bad thing. Good post, Polly. Haven't read Robotham's series but will give it a try. Your books are excellent examples of good character development. Thanks, Linda. For me, it's all about the characters. Developing them in a standalone is A to Z, whereas in a series, it's more complicated. A to C, the D to G, etc. Then you have to go back to B for catch-up. Such is the challenge. I think you'll like Robotham's books. Terrific post, Polly. As you know, I’m a big fan of Michael Robotham. I think many readers tend to identify series as either episodic or serial. For me as a reader, the best series cross that line. An inventive storyline is great, but a brilliantly wrought character arc is what keeps me coming back. Real characters have lives that extend beyond a good plot. I couldn't agree more, VR, which is why we both like Joe O'Loughlin and Robotham. You make my point why some series leave me cold, and it usually concerns lack of growth in the character. My series is episodic, but there are always references in later books, and that's when that tricky backstory comes in. Even if you'd prefer to ignore the earlier plots, they're how we got to that point in the new story. So there is that fine line that straddles both series identities. One thing I don't like is serial cliffhangers, which force the reader to buy the next book. That's manipulation, in my opinion, and I don't like to be manipulated. Love the post and love the advice from Elmore Leonard. His 10 rules are the best. I once had an editor at Southern Living magazine advise against dropping the "g" on the "ing" words in dialogue. I wrote a story set in Texas and tried to capture the drawl of Texans. The editor encouraged me to rewrite the dialogue and find the rhythm that would have the drawl. It worked. BTW, I do enjoy your books. Making your characters sound different is something I struggle with, but it is worth doing. I decided my next book, I would make notes next to each character name and try to refer to those notes every time I wrote their dialogue. That's a great idea. Sometimes I can hear my characters. When I was in high school, I was in a play and got the bug, so I considered going into drama. I think when I write a character, I become her or him. At least that's what's in my mind. Consistency is the key. I agree with the advice about overuse of regional dialect. At times it can add richness to the book, but so often it is distracting. And, having been an actress and storyteller, I do read them out loud sometimes and they are ludicrous when actually heard that way. I think less is more, and when it is used, it should be done with great care and consideration. It is definitely a slippery slope. I also read aloud. That is the best indicator of whether or not you're writing believable dialogue. Sometimes I'll say, How did I write that? because it doesn't ring true. I love your encouragement to find the differences but don't drill them into the reader. Let the reader first see them, then feel them. Can't wait to read your next Diana!